Technically, Walter Varela has been around New Song since the church’s inception in 2002. As a 21-year-old man he laughed when he witnessed the tent being raised that would be New Song’s first church. But even laughter couldn’t disguise the truth – his wild life was beginning to catch up with him and his life was in shambles. When he heard worship music coming from that same tent, life presented Walter a distinct crossroad in the way only life can do. One road to maintain his present track towards destroying his life completely, the other to risk it all with the God he had heard of but never experienced. He said that he thought I will go to this church and see if God will love me. Upon hearing the Gospel, he responded in tears and repentance and a new life began. He became a disciple. He married the mother of his children. He was baptized. He began visiting villages to share the love of Christ he experienced not long ago. After intense discipleship from New Song leadership, he was asked to become a leader in the church, and today he is the pastor of New Song’s first outreach church in Santa Matilde. 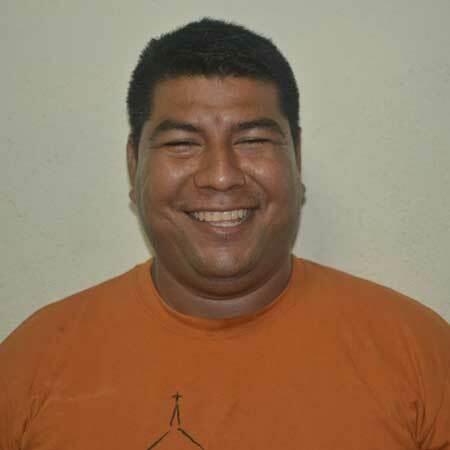 He strongly desires to continue learning the Bible, sharing the love of God with those in Santa Matilde and fully embracing the love and forgiveness of the New Covenant that Christ offers. He wants to see the church transformed by this life-giving truth and he wants Nicaraguans to be able to enjoy God, not feel shamed by him. Pastor Walter blesses community people with jobs in the 3-acre garden and runs the agriculture and chicken projects as well as directing a children’s feeding program. Independence Hill Baptist Church of Huntersville is the sponsor of this outreach church. The most common obstacle he faces is religious spirit in the community. Pastors emphasize how they dress and what they can and can not do with strong control and not the love of Christ. These groups talk negative of his church. This is a challenge for him, though he loves to show them the love of Christ to change their minds!